National data indicates a surge in African-American suburbanization during the 1970s. What are the barriers that have slowed this process for so long? Is black entry to the suburbs synonymous with integration? To what extent does it contribute to convergence in the residential distributions of whites and blacks? This careful and thorough study marshals evidence that black suburbanization offers less than full realization of the American Dream.Homeownership in the United States is a source of security, a sign of status, a means of equity accumulation, and a bond to the community. The basic premise underlying The New Suburbanitesis the preeminence of equal access. Survey data collected for this analysis pertains to successful homebuyers - whites and blacks who were able to negotiate safely the treacherous housing market conditions.Specifically, Robert W. Lake draws from a unique survey of black and white homebuyers to assess the institutional and housing market barriers to black suburban homeownership. How does racial discrimination add to the cost, time, and difficulty of housing search for black homebuyers? What is the effect of discrimination on housing prices, resale value, and equity accumulation? 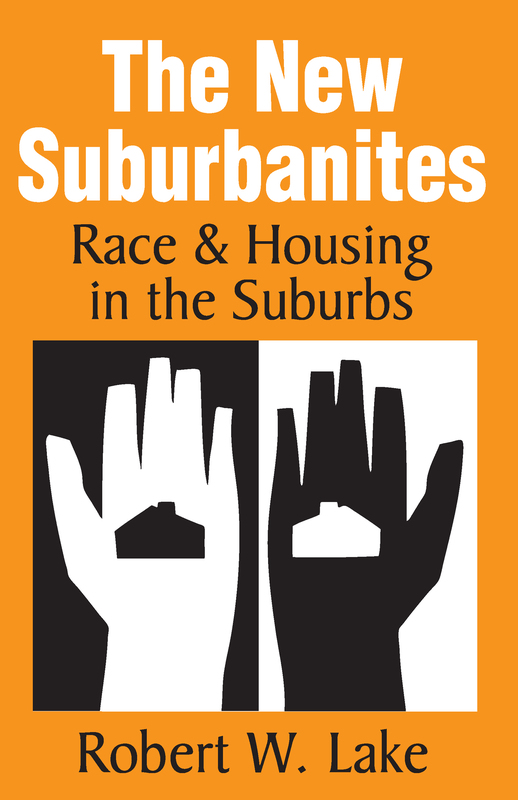 What is behind the complexity of white and black attitudes to suburban racial integration? What is the perspective of the real estate agent, the key market intermediary? The book addresses each of these questions and concludes with a critique of present federal fair housing legislation and an assessment of policy implications.